There are a lot of terminal emulator application in archlinux, but if you want to find terminal emulator that support setting image as background, there are two interesting apps in archlinux. They are XFCE Terminal and Terminator. 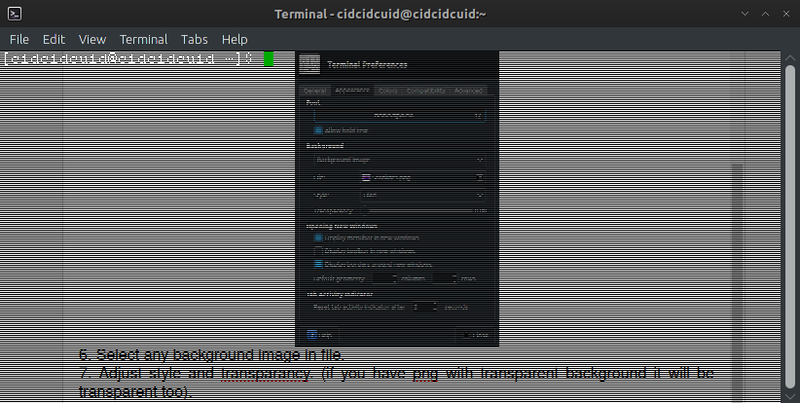 Gnome-Terminal had those features, but in latest version, background image was disabled. 5. Choose background -> "Background Image"
6. 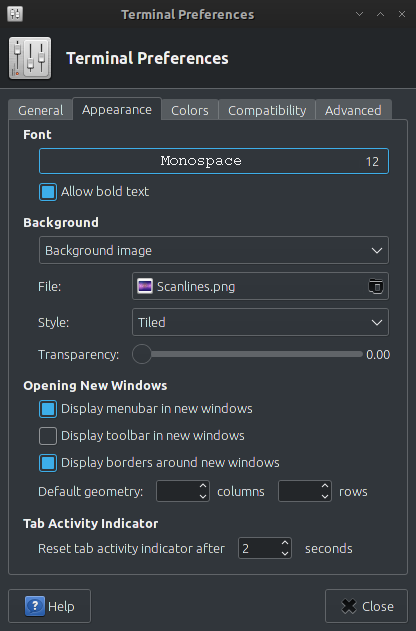 Select any background image in file. 7. Adjust style and transparancy. (if you have png with transparent background it will be transparent too). 2. 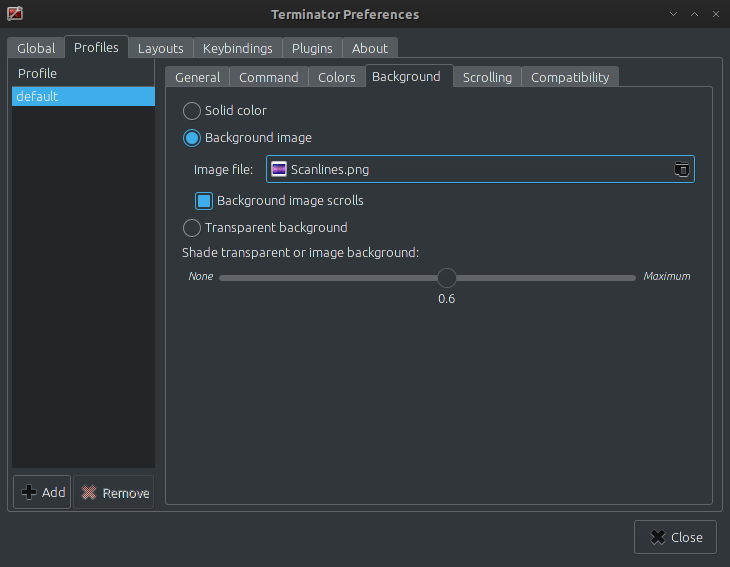 Right click on terminator, then choose preferences. 4. Select "Background Image", find image file that you want to set as background image. That's it, have fun with terminal emulator.